Having recently departed DOWN to devote his undivided attention to CROWBAR, Kirk Windstein hooks back up with Matthew Brunson, Tommy Buckley and Jeff Golden for the band's 25th anniversary and tenth album, "Symmetry in Black". Announcing in advance the emphasis on "Symmetry in Black" is going to be devoted to slow, slow and more slow, said promises are well-kept in that respect. Make no mistake, this is chunky, heavy material that's going to get played out time and again throughout the album, so expect thrashes and bangs to come in small doses. Tie your shitkickers tight, because CROWBAR invites you into the muck and it's a sluggish journey you'll be taking. Nonetheless, "Symmetry in Black" satisfies in a huge way. "Walk With Knowledge Wisely" in title might be a summation of where Kirk Windstein and CROWBAR as a band is. For certain, the slow crunch of the song carries a sage chariness that stays attentive to its snaking riffs, creating hypnotic creases in conjunction with Tommy Buckley's dialed-back plods. In sections, Buckley gets to hammer out a few excess beats, but CROWBAR immediately makes "Symmetry in Black"'s intentions clear right off-the-bat. Riffs are king, speed is speculative. Apposite of the album's title, "Symmetry in White" rides a methodic doom course which finds Kirk Windstein both crooning and half-squealing into the mike with beleaguered pitches to match the song's pain-wracked slog. "The Taste of Dying" picks up the pace a bit with a melodic chorus that emerges from the song's dirge and roughneck fret sliding. A slow and dirty breakdown serves as the song's knotty outro and works great accordingly. "Reflection of Deceit" rises and falls during the intro, then continues to tread through brackish waters as a striking, maudlin harmony on the bridges presents a much-needed dynamic set against its domineering trudge. Tommy Buckley again has the opportunity to embellish and roll amidst his steady clouts, while Windstein, Matthew Brunson and Jeff Golden pour on the sludge. "Ageless Decay" gives the listener a break from all of the despair preceding it by turning on the jets with thrash segments that ultimately decelerate to punishing doom grooves. Worry not, though, Tommy Buckley dishes some intermittent tribal rhythms that break up the usurping slowdown just enough to keep things nudged to the edge. The fading guitar screeches on "Ageless Decay"'s outro is likewise a great touch. 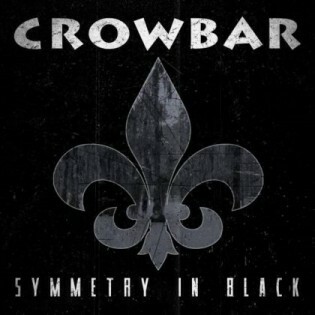 It makes the inebriated swirl of "Amaranthine" easier to stay grounded with, since that's where CROWBAR seeks to keep their listeners on this album. While repeating "Ageless Decay"'s scheme on the punk-driven "Symbolic Suicide", the latter cut breezes since more devotion to mosh manifests before the song's clouting doom finale. "The Foreboding" is downright oppressive as Kirk Windstein drag-woofs on the heels of his gravelly droning. The riffs only get heavier here and then on "Shaman of Belief", which does toss in an accelerated bridge ringing of METALLICA before slipping back into its primary drag. "Teach the Blind to See" steps the rhythm up a click and stocks it full of buzzing reverb, but the predominantly sluggish vibe to "Symmetry in Black" is set in stone. The bass globs on "A Wealth of Empathy" are as ugly as the overall tones CROWBAR wrenches out of themselves, yet Windstein and his crew are superbly focused on what they're doing those globs are easy to excuse. 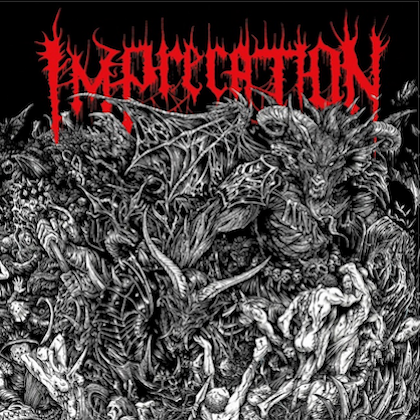 What the album may have minutely in the way of variation is compensated by a heavier-than-hell foursome who make decibels their ally and sludge their best friend. 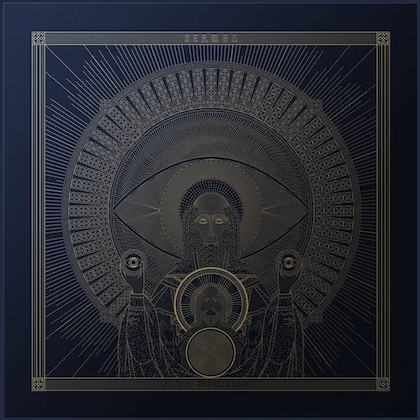 "Symmetry in Black" is repetitive and protracted, but it sure enough slays.